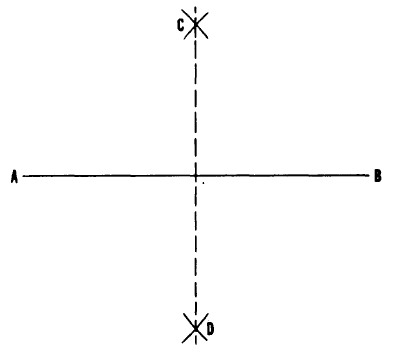 Geometric construction for bisecting a line is shown in figure 4-5. 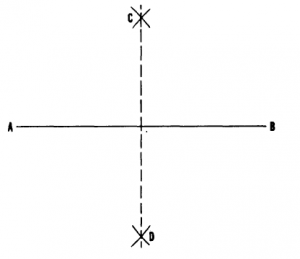 To bisect the line AB, use the ends of the line, A and B, as centers; set a compass to a radius greater than one-half the length of AB; and strike arcs intersecting at C and D. A line drawn from C through D bisects AB. Lines can also be bisected by using a t square and a triangle.